The R&D and extension services of the coconut industry are provided by the CCIL. The Institute was established following the amalgamation of then Cocoa and Coconut Research Institute (CCRI) and Cocoa and Coconut Extension Agency (CCEA) in August 2003. The Cocoa Board and the KIK are the shareholding boards, each with equal shares of the Institute. CCIL’s mandate is R&D and extension in cocoa and coconut production, processing and marketing. Most of the coconut research work is based at the Stewart Research Stations (SRS) at Murnas in Madang Province. Post harvest (processing & quality assurance) & marketing systems. As discussed earlier, and as recommended by the FER of CBAs, the Institute will be voluntary liquidated and its current coconut R&D and extension functions will be transferred to the KIK. This would entail these functions to be housed under one organisation to rationalise and effectively coordinate its mandated R&D and extension functions. Bogia Coconut Syndrome (BCS) impact (left): Scientists using malaise trap (above) are working on identifying the vector (insect) that carries and spreads the phytoplasma that causes BCS. 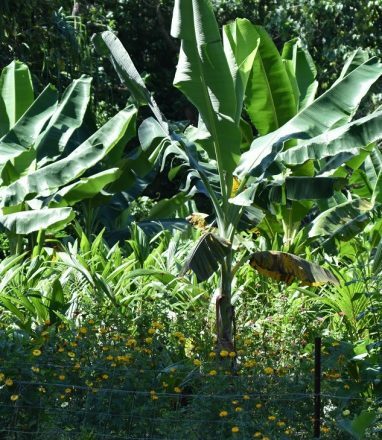 Threats to bananas, taro and oil palm and betelnut must be addressed to avoid food security, cash income generation and wider economic impact. 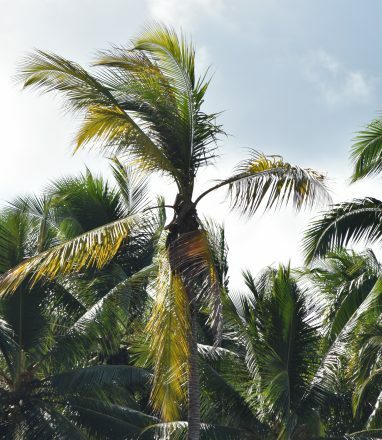 The coconut industry just like any major agricultural commodity is susceptible to a number of well documented threats including: pest and disease, climate change and human activities amongst others. Kokonas Indastri Koporesen (KIK) as the statutory regulator for the coconut industry takes seriously every biological threat to the wellbeing of our industry. While the industry ahs a few threats to contend with, each one derail the vital industry if kept unchecked. That is why in this edition we will ensure our readers are aware of what threats are now I in the country. A pyhtoplasmic bacterial parasite that has been killing coconuts in Madang province better known as the Bogia Coconut Syndrome. 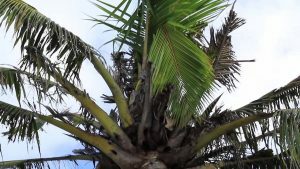 The Bogia Coconut Syndrome is threatening the industry through a phytoplasma disease. It is transferred by a vector so an insect after feeding from an infected palm ars to move to a healthy palm and it will get infected. A seasonal grasshopper species called sexava occurs between a number of years before they return and consume the fronds of coconut palms. Of the current threats the rhinoceros beetle is by far the most widespread. 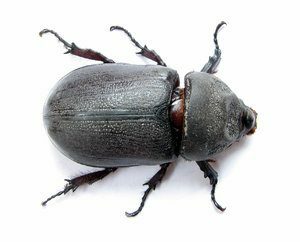 There are currently three biological species of the rhinoceros beetles. The beetles cause damage by chewing into the growing shoot of the palms, which results in the V-shaped cuts on the leaves after they unfold. Of the three types of beetle currently in the country, one is native to the country and is called Scapanes austrails. 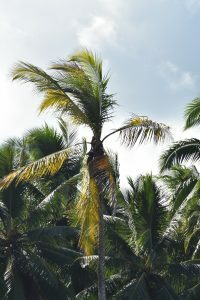 The Scapanes is found around the country but it has never spread very much and is not a danger to our coconut population. The second is the Oryctes scapanes, or commonly called the Asiatic beetle. In the early 1800s as Asians migrants were coming into the country, they somehow brought in the Oryctes scapanes. The beetle first appeared In the New Guinea Islands Region, especially East New Britain. The habits and physical characteristics of the Asiatic beetle were quite different. Our scapenes are quite big that is why they fly at a limited height, while the Oryctes scapanes which is smaller flies higher. So when it appeared it was able to attack the tall coconut palms and this went on until it was addressed by the then Cocoa Coconut Institute (CCI) of PNG through the introduction of two biological agents. The population was quickly reduced through the introduction of the two biological control agents including a virus and a fungus which actually controlled the Asiatic beetle very well. Then most recently a new strand of rhinoceros beetle threat appeared on our shores, a biotype originating from Guam and referred to as the Guam-biotype. It is more aggressive and at the same time it does not have a biological control. It has so far been reported in the Southern Region in the country in the provinces of Central and Gulf spreading at a faster rate. While it could have existed elsewhere in the Southern Region, the first official record appeared in Kerema district in Gulf province 2016 and was confirmed by then CCI officers who identified it as Guam strand. The KIK and the Asia Pacific Coconut Community (APCC) have also made a case to the Australian Government and we are now working on bio agents and bio controls. For this particular beetle its bio agent ahs been worked on in Guam. They are looking at different microorganisms whether they are able to attack the beetles or not. The use of pheromones traps is still going on but effectiveness of that is also not very good. The rhinoceros beetle problem is not only in Papua New Guinea. Every coconut growing country in the world have rhinoceros beetle issues from the Caribbean, Africa, Asia, and the Pacific. During the 2014 Asia Pacific Coconut Community Cocotech conference held in Bali, Indonesia al l18 coconut producing countries accounting for 90 percent of world coconut production and export of coconut products all had issues with the rhinoceros beetle. 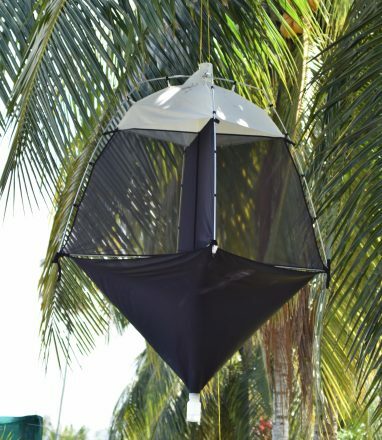 Moving forward current discussions with Indonesian research organizations will see a much more effective pheromone being brought into the country that has been developed by the oil palm industry could be more effective on the Guam strand. Previous pheromones only attracted male beetles, whereas this will attract both genders. In fact Fijians have already taken into Fiji, with Tonga and Samoa negotiating also. 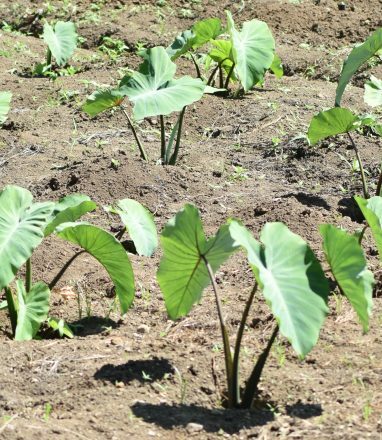 People unaware of the nature of such pests and their movements have been attributed as one of the major carriers with food plant materials and coconuts from the regions responsible for the beetles present foothold in the southern part of the country. Banana suckers are good nesting places for beetle eggs and other plant materials. 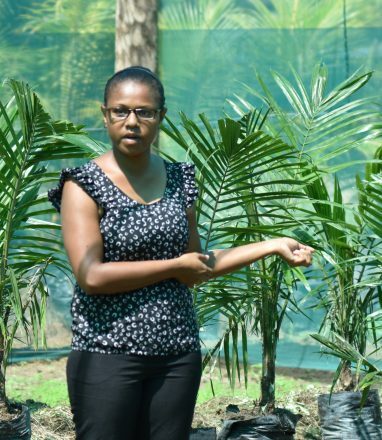 Keeping hygienic coconut palm areas free from rubbish piles, tree logs, banana plants, and old decaying coconut logs all go a long way to preventing the spread of the beetles. It is not only the industry that should do this but every person who grows coconut must take responsibility to look after their coconut palms. The entire community that has coconuts must take responsibility while the industry is looking for other bio agents and strategies to put in place to protect our industry.